There's more than one way to enjoy the joie-de-vivre of French-Canadian flair. We like to switch it up between the elegant charm of Québec City's historic side and the modern sophistication of Montréal's plateau and Notre Dame Street. We love the historic Petit Champlain neighbourhood of Québec City — it’s distinctly European, yet uniquely Canadian. Be sure to stop at La Petite Cabane à Sucre for all things maple, including traditional sugar taffy over ice, tea, candy or maple-infused bath products. After all, this province makes more than 70% of the world’s maple syrup, so there’s no better place to indulge! 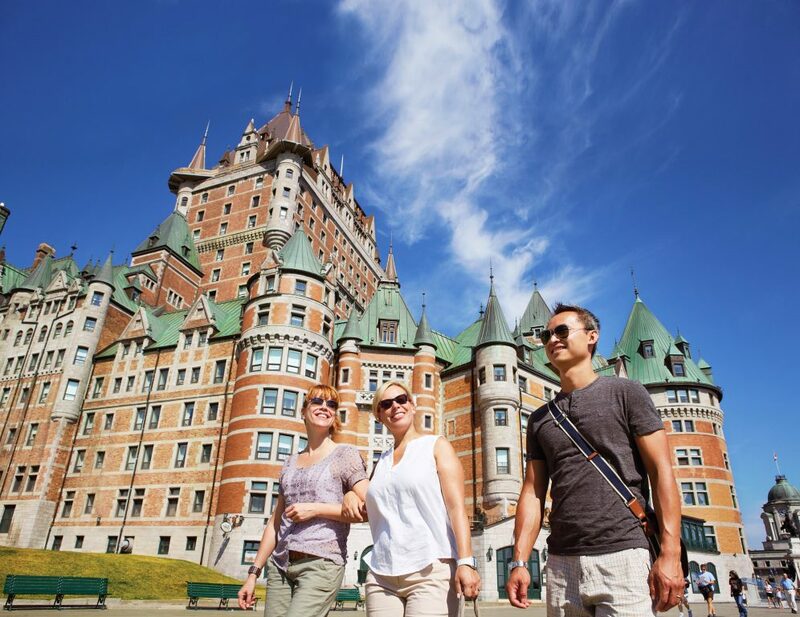 Whether you’re taking a road trip to the small artisan and farming communities that dot the countryside or discovering the urban vibes of Québec’s cosmopolitan cities, Canada’s biggest province does not disappoint. We love the diversity — from European-inspired villages to entire hotels made from ice, you’ll want to stay and enjoy farm to table cuisine, award-winning local wines and beers, and yes, lots of maple syrup. There’s always something happening in the entertainment district. Place des Festival is home to the Montréal International Jazz Festival, the Just for Laughs Comedy Festival and year-round free events. Set your sights on 22,000 flowers, have lunch alongside penguins, see what’s buzzing in the Insectarium and surround yourself in the Northern Lights - all in one day at the Space for Life. New world combines seamlessly with the old in this modern, cosmopolitan city. The culture, cuisine and mix of language you’ll experience in Montréal will have you reliving your memories of La Belle Province for years to come. Higher than Niagara Falls, Montmorency Falls is truly a sight to behold. Explore this natural wonder on foot, by sightseeing gondola or for the adventurous, by zipline across the thundering falls. We have an ongoing love affair with Québec City. It’s a romantic romp in one of the oldest cities in North America, promising old world charm and European flair. Stroll its cobblestone streets with centuries-old architecture to experience Québecois cuisine, boutiques and historical landmarks. Venture just outside Old Québec, and you’ll find Montmorency Falls, the highest waterfall in the province, surrounded by miles of hiking and biking trails for a perfect outdoor playground.